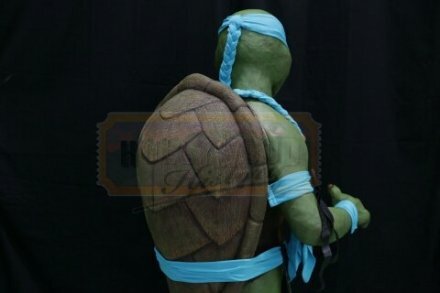 Venus Di Milo's Turtle Suit [NTNMV] - $5,999.99 : Hollywood History Online, Discover the Magic and Bring Hollywood Home! 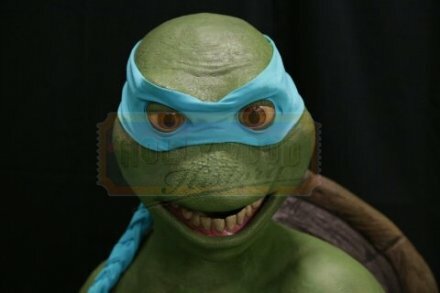 In this live-action TV series, the Turtles are older than in the movies or cartoon, and are joined by a fifth, female Turtle. 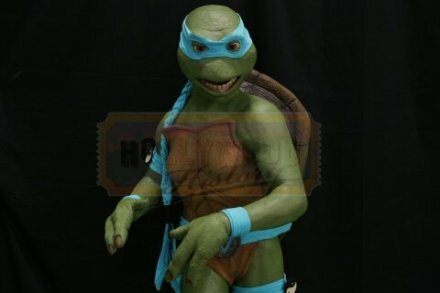 "Venus De Milo" mutated with the other 4 Turtles but was washed away with the current in the sewer into New York's Chinatown before Splinter came across the turtles. After learning the Shinobi arts in China for 17 years, Venus has returned to New York. 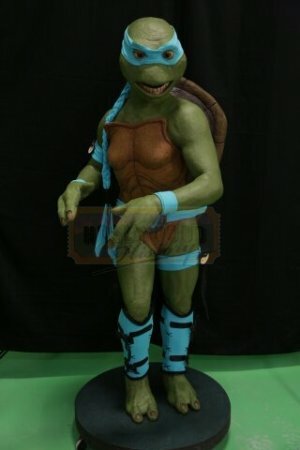 This is an original life size production suit display model of the only female Ninja Turtle. Made by f/x artists from the original production molds during the production of the TV series "The Next Mutation". This actual suit model has been on display inside the Chiodo Bros.conference room for many years until it was purchased in 2016.The model stands at 5'2" at a total height with base at 5'7" and has a 24" width. Venus is anchored to a 26" circular base with casters. Along with a Hollywood History COA, it will also come with a COA hand signed by Edward Chiodo. Please contact us before purchasing for an estimate on shipping charges.